According to the most recent release of the ISM Manufacturing PMI report, August was not just a good month, it was great! While economists were expecting a modest downtick in the headline index, the actual reading saw a pretty sharp uptick, rising to 61.3, which was the highest reading since May 2004. With consensus expectations at 57.6, the last time an ISM Manufacturing report exceeded forecasts by a wider margin was in August 2001! Looking through the selected commentary section of the report also shows strength across the board. Although while commentary is generally positive (yellow highlights), concerns over inflation pressures are just as prevalent. 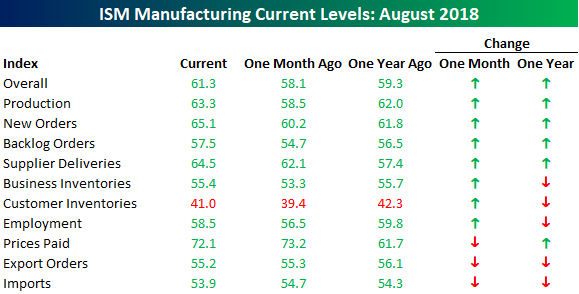 Looking through the internals of the August ISM Manufacturing report also shows broad-based strength. 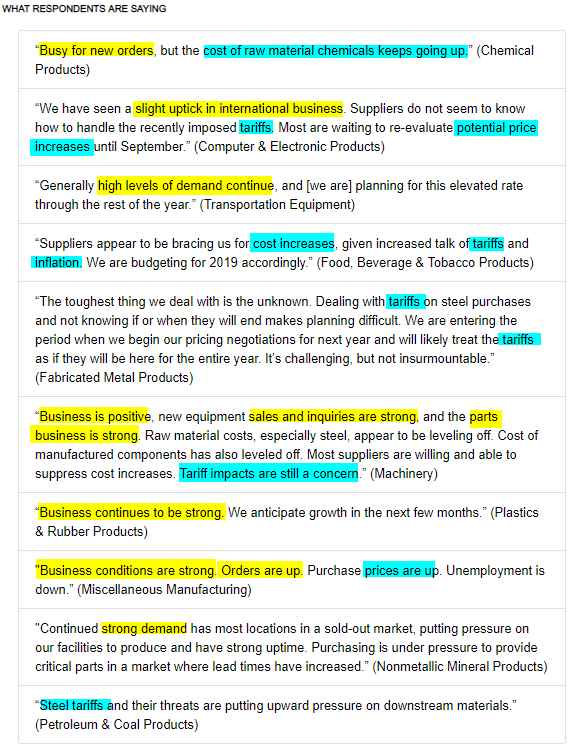 Of the ten subcomponents, the only three that declined m/m were Prices Paid, Export Orders, and Import Orders. The biggest increases were seen in New Orders and Production (although neither hit a new cycle high like the headline index). Finally, on a y/y basis, breadth in the report was not as strong as the subcomponents of the report were evenly split between gains and losses.